Rajasekhar is making a comeback after a very long time and this is the movie that is supposedly one of the most awaited movies for the fans of Rajasekhar. 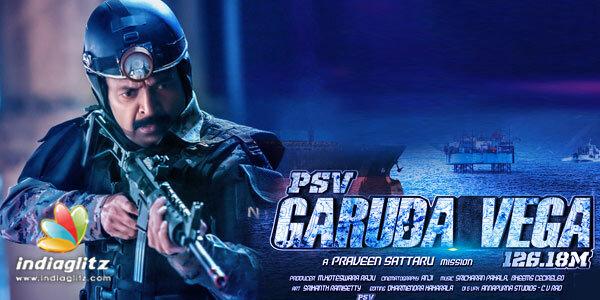 Directed by Praveen Sattaru and produced by M. Koteswar Raju under Jyostar Enterprises production company, Garuda Vega is a science-fictional movie. The movie stars Sunny Leone, Rajasekhar, Shraddha Das, Adith Arun and Kishore in lead roles. Behind the scenes video of Garuda Vega that was uploaded to the web is making rounds around the internet, creating a slow and steady hype. The music directors of Garuda Vega are Beems Cecirolio and Sricharan Pakala. Seems like the movie is still a work in progress but it’s slated to be released on 6th October 2017.